The Central Lab Facilities are available to all researchers at the Cluster of Excellence Cognitive Interaction Technology (CITEC), offering research technology and expert advice. Just how productive the facilities are of such an efficient and centrally managed laboratory infrastructure can be seen, for one, in the many special awards its researchers have earned. For several weeks a year, the lab at the heart of the CITEC Building serves as the workspace for the Bielefeld RoboCup team. There, the team of students and faculty researchers prepare their service robots to compete in the world’s largest competition for intelligent robots. Their efforts have earned them great success: in 2016 and 2018 the team took first places in the RoboCup household service league. In service of this mission, the Central Lab Facilities maintain these large-scale research platforms in cooperation with several CITEC research groups. And the Central Lab Facilities also help to integrate the various contributions from each group’s specialized labs into the construction of comprehensive prototypes. This makes it possible not only to test cognitive technology in concrete situations, but it also brings it to life. “The Central Lab Facilities also ensure that our research prototypes are compatible with each other,” says Ritter. This includes ensuring that the software and hardware components in the prototypes can be reused in new systems. Privatdozent [Senior Lecturer] Sven Wachsmuth heads the Central Lab Facilities. Six researchers belong to his team. “Our job is to support the research taking place in the labs of CITEC groups,” he explains. For this, his team runs a central laboratory environment for interaction technology as part of the Central Lab Facilities, where members of research groups can use experimental setups and research prototypes that were previously scattered across individual labs. These include not only robots but also systems for recording and measuring interaction: devices for recording motion, instruments for capturing eye movement, or setups that simulate virtual 3D worlds. 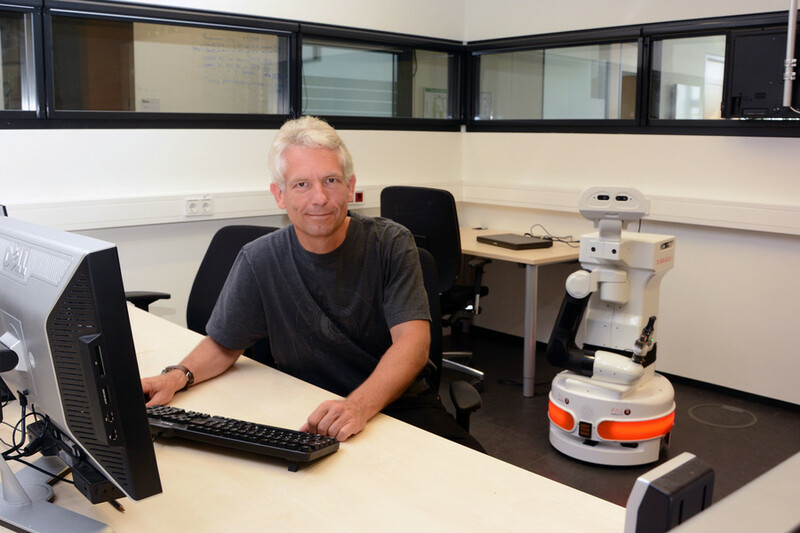 Beyond this, Wachsmuth and his colleagues also manage large parts of the technical equipment in the laboratory apartment on the first floor of the CITEC Building, where new research innovations are adapted for everyday living. To ensure that researchers at the Cluster of Excellence are able to construct their technical systems on the basis of tried and tested methods, the Central Lab Facilities provides infrastructural services for the maintenance and testing of necessary software. This is documented in an online catalogue called the “Cognitive Interaction Toolkit,” which is made available to both CITEC and external researchers. In order to develop the software tools needed for this, a research group was founded specifically for this purpose, which is headed by Dr. Sebastian Wrede. The Central Lab Facilities also deal with the preservation and dissemination of research data. In addition to all of this, the Central Lab Facilities also pools knowledge from the individual research teams and serve as a intermediary for identifying expertise. “In this way, a number of research groups support us in providing our services,” says Wachsmuth.